Through automatic controls, the cows start up the machine by themselves by a slight lift of the brush. After the machine has been turned on, the brush is in operation for approx. 60 seconds. 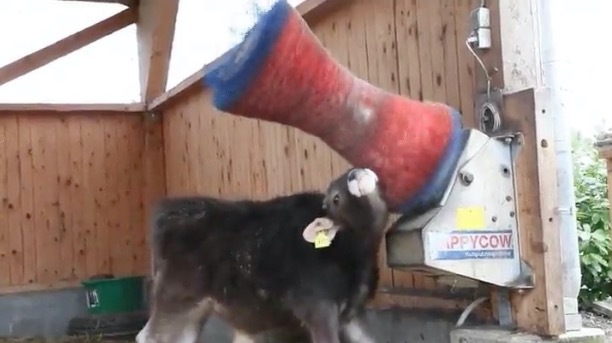 After it switches itself off, the cow cleaning machine can be immediately reused. The cows use the machine six times a day, on average. Uses the cow's natural behaviour of rubbing its body up against the feeding tree and activating the device. I think my cats would go for a Happycat. If there isn't one already, someone should Kickstart it.